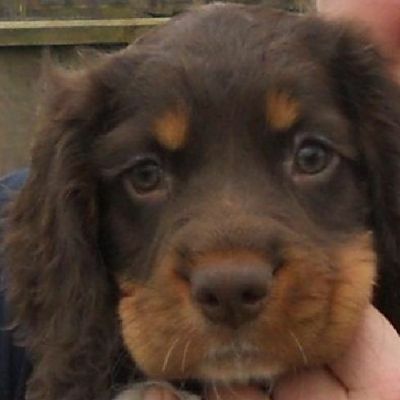 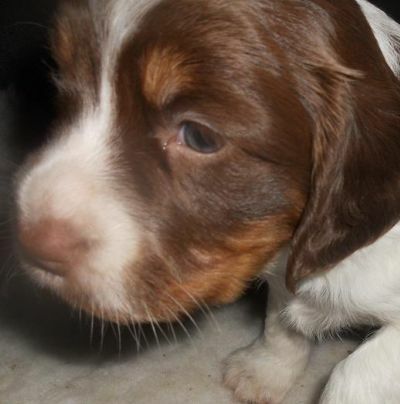 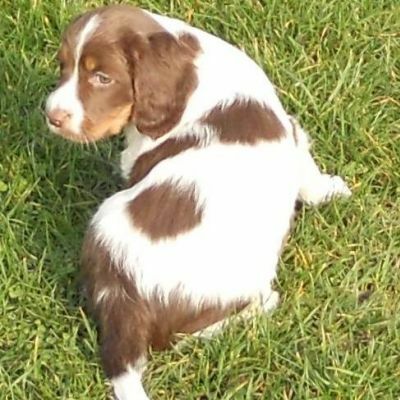 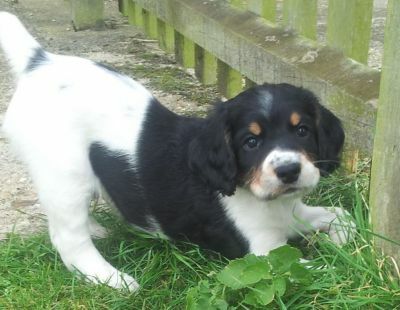 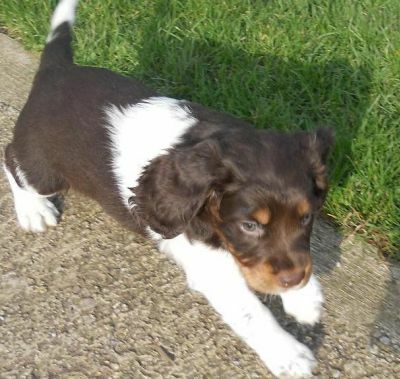 These pups are very rare in the working strains of English Springer Spaniel being tri coloured and Liver, White and Tan or Black, white and tan. .
To be this colour, both parents have to carry this recessive gene. 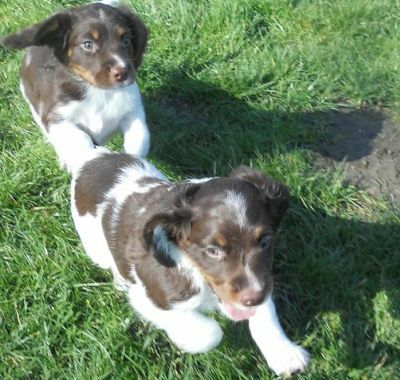 The younger ones from Jazz and Woody's litter born in May . 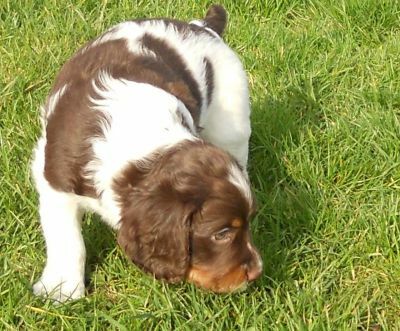 3 of our dogs carry this rare recessive gene, as did either Whistle or Jypsy to pass this gene on to their pups. 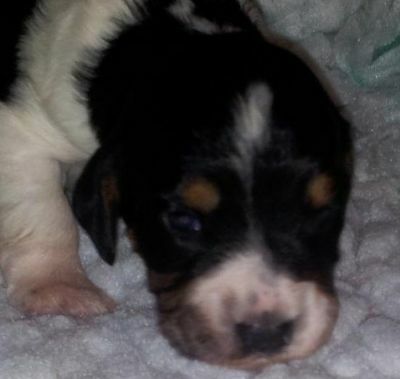 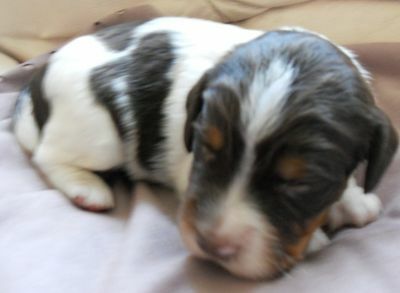 We have also reserved a liver, white and tan tri boy to join our gang and to continue these markings.